Patch 2.6.1a is live on consoles and players can finally get their hands on the Starcraft anniversary pet! 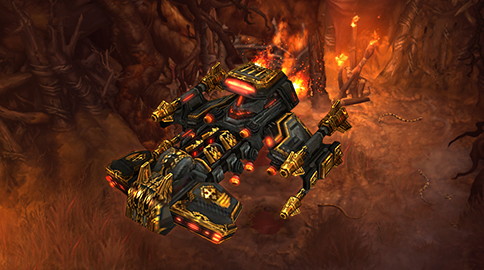 The StarCraft anniversary got delayed on consoles, but now that Patch 2.6.1a is live, you can earn the Dominion's Revenge pet just by logging into the game. Patch 2.6.1a is now live for Diablo III: Reaper of Souls - Ultimate Evil Edition on PlayStation 4 and Xbox One. This patch should bring these console versions up to patch parity with PC. The StarCraft 20th Anniversary pet has been added to the game. All players should unlock this item upon entering their first game after patching. When Will the season b ending? Nobody knows yet. It could be anytime in the next 3 weeks.